MKRS Law at WCCP : To Pay or Not to Pay, That is the (Appellate) Question! Home News MKRS Law at WCCP : To Pay or Not to Pay, That is the (Appellate) Question! 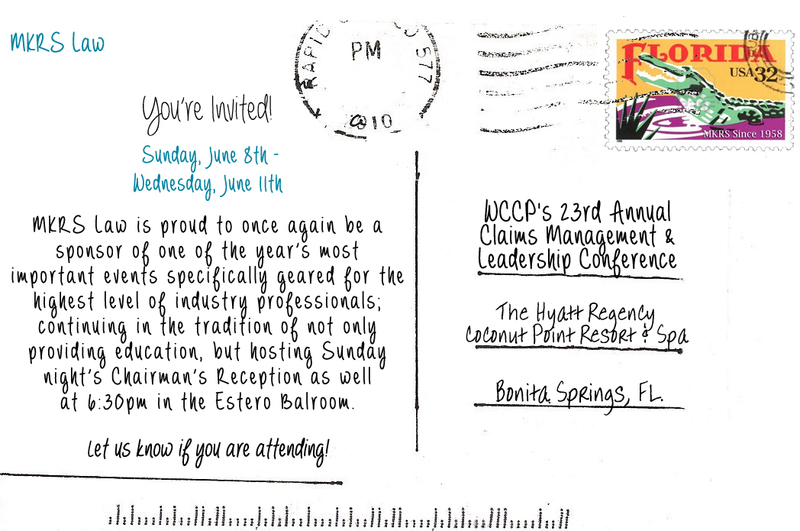 Join us in less than two weeks for the annual WCCP Conference in Bonita Springs, Florida. Hear Senior Partner, H. George Kagan, in his presentation To Pay or Not to Pay, That is the (Appellate) Question! Also be sure to join us Sunday night as we sponsor the Chairman’s Reception. Get your tickets here. For those of you who know George Kagan, you know that he is one of few individuals who can make you laugh, while exploring the (arguably) erroneous Order that just hit the wires. In this interactive workshop, George will take us through the steps in evaluating whether your case is strong enough to weather the ever changing wind directions from the 1st DCA.